Is your company running on legacy forms, document or labels software? Chances are, your company may be using software that is 10 to 25 years old and has been sunset and even out of support for years. Are you using products like Adobe/JetForm Central, Create!Form, GMC, FormScape, HP Exstream, OpenText, StreamServe or other software products? You know it’s time to move on, but maybe you are worried that the migration to a new product will cause too much disruption in your mission critical communications? DocOrigin has been developed by a team of people who were instrumental in the creation of products like Adobe/JetForm Central, FormsPlus/400, R-Forms, LiveCycle and a few other products. We know, perhaps better than anyone else, the complexities of these products. Our history and expertise has resulted in a comprehensive set of migration tools and strategies aimed at providing replacement technology for your implementation. Most simple forms templates can be migrated in seconds and be 95 to 100% complete. Of course you have to QA and Test, but that will be quick1. Medium forms and complex forms can be migrated in seconds, but typically they will be 75 to 95% completed and need some clean up. One of the greatest challenges for many customers is the process of migrating from “old” to “new.” Eclipse and our global partners can help you manage that change. Our representatives can show you how to migrate to DocOrigin on a template-by-template basis. You can have your current system and DocOrigin both running productively, and once all your templates are migrated, you can “pull the plug” on the old system. In the event that an issue escapes your testing process, the process can be quickly reverted to its old method of processing (i.e. you don’t shut down your existing forms system, you can run them concurrently with DocOrigin should a problem slip through the QA process. You can switch the form back to the original software in seconds while the form is QA’d and tested again.) So you can expect a smooth transition, with little or no disruption to your critical document generation processes. DocOrigin Design can open Adobe Designer XDP files and Adobe/JetForm IFD files, PDF Files directly and save them as DocOrigin XATW template files. The XATW is an open source XML file, there are no proprietary file formats or scripting with DocOrigin. DocOrigin makes available a set of tools to automatically convert IFD form template files to DocOrigin templates quickly and efficiently. Data Files in field-nominated format, .DAT, .FNF, Spool, Delimited, FRL, Fixed Text are recognized by DocOrigin and automatically converted to well-formed XML that matches your template. Proper template and data merging is assured. DocOrigin is fast. Fortune 10 clients rely on DocOrigin to design, present and deliver their most mission critical documents, forms and labels. Electronic or paper, DocOrigin does it all, fillable forms or production forms with a single solution. It is typical to undertake a due diligence process when contemplating migration from one product to another, especially when proprietary assets are involved. 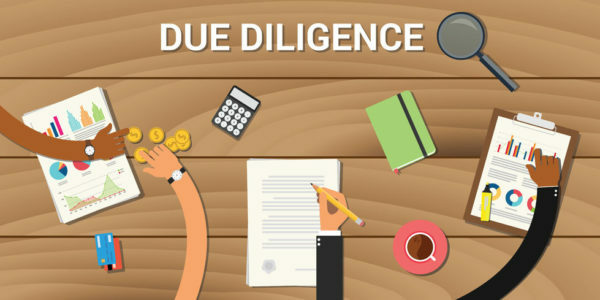 The due diligence process ensures that both the customer and the new vendor are cognizant of the restrictions and risks in the use or handling of proprietary assets. The Eclipse team and our resellers can assist you in navigating through the due diligence process, and in organizing, managing and conducting your migration effort. Eclipse offers free Proof of Concepts on your most challenging forms, document or label, so put us to the test. You can rest assured, your migration is in good hands with our team and DocOrigin. If you’re ready to step up and make the change, contact us here and we’ll help you get started today! (1) Automated forms migration for simple fixed forms template from Adobe Central, Adobe LiveCycle, Adobe AEM, JetForm Central can be migrated in seconds in most cased better that 95% complete. Medium and Complex form template 75 to 95% complete.